Isn’t crying a normal expression of human emotion? For many Somalis, crying publicly is taboo, and for men, it is especially frowned upon. But recently, three separate incidents in Somalia raised eyebrows and lent credibility to the idea that the rigid knots of this cultural taboo are loosening. A Somali cleric, a female parliamentarian, and a groom at his wedding all cried publicly — and this spontaneous expression of emotion had such a profound effect on those who saw it that it went viral on social media. The tearful trio, each of whom is totally different from the other, and whose motivations for crying are also quite different, generated criticism from Somalis, unearthing the deeply entrenched views many of them hold about the appropriate way people should display emotions. Videos of the trio also led to the exposure of long-held perceptions of femininity and masculinity, and whether emotions should be expressed or suppressed. 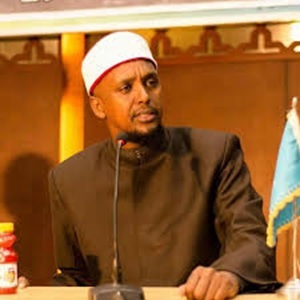 The popular Somali-Kenyan cleric, Sheikh Mohamed Ibrahim Kenyawi, recently visited Mogadishu, where he gave a series of sermons calling for forgiveness among Somalis. During his tour, he met Prime Minister Hassan Kheyre. It was an innocuous meeting, although some critics said it was a cleverly planned PR stunt by both men, a suggestion on which the opposition groups capitalized. Kenyawi was portrayed by these critics as a pathetic object of scorn without a smidgen of dignity, hobnobbing with federal government leaders instead of staying neutral on political matters. The cleric was blindsided by the virulent criticism and responded by issuing a video on social media in which he emphasized his lack of interest in politics. Then, something strange happened: The cleric broke down and wept. Occasionally, the cleric would cry during sermons, but his public display of emotion on something not spiritual was odd to many. Supporters of the government lauded him for his “courage” and “sincerity,” whereas his critics lampooned him for acting in an unmanly fashion. In January 2019, the Somali Federal Parliament voted on a controversial proposed amendment of the constitution to allow a non-Somali to head the Central Bank. That is what the country’s national leaders wanted, and parliament acquiesced. About 157 members voted in favor of the bill and 17, like Muna Khalif “Muna Kay,” opposed it. During voting, an altercation broke out between Muna and MP Luul Abdi Adan. When the two left the chamber, Muna Kay’s sister attacked MP Luul in the parking lot, injuring her face. Muna Kay’s sister was arrested and booked for assault and battery. Muna Kay bailed her sister out of jail, and then the next day the two went to Mogadishu Airport to board a flight to Baidoa in an attempt, according to police, to be smuggled out of Mogadishu. 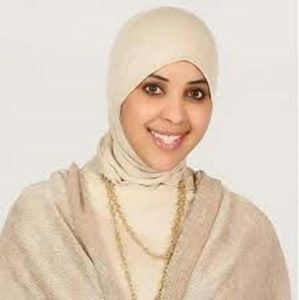 Muna Kay was stopped and released because she has parliamentary immunity, but her sister was arrested and jailed for absconding bail. Muna Kay was furious and taped a video on Snapchat crying and accusing the Somali police and PM Kheyre for keeping her sister in detention. Muna Kay, a former model, fashion designer, and businesswoman, made history for being the first Somali parliamentarian to air grievances on social media, crying and pleading for her life. “If I die today, you know why,” she said, alluding to a perceived government plot—real or imagined—to silence her and even liquidate her. Enough talk about politics. Let’s give another example of someone caught up in the controversial crying game. A Somali man in Galkacayo did the unthinkable: He cried during his wedding. Once again, the video of his emotional public expression generated a chorus of voices, both critical and laudable. What was a natural emotional expression of joy during a marriage ceremony suddenly became controversial among Somalis. In the video, you can hear voices of some of the guests in a state of shock. “My God,” one of them said, giggling, “perhaps he is crying out of joy.” Others cheered or jeered. The video shows the young bride comforting her man in a natural expression of care and affection. However, within Somali society, such affection is deemed an act of defiance against Somali cultural norms, which teach young girls early in life never to display their affection in public. The incident of the groom crying was ostensibly the first time in the country a man cried publicly in an expression of joy. At least, I have never heard of a groom in tears at a wedding. I have seen some grooms grumbling about the high cost of their weddings, but crying? In popular culture, on rare occasions, you may hear such classic melodies as “Hakaba,” in which a male lover laments the falsity of the notion that a man never cries. Not true, it says, because this lover’s “tears pour so profusely that they mix with running water.” Somali men are no different than other men in the world when it comes to preserving what they may perceive as their masculinity. For Somali women, displaying their emotions is a no-no. During the British colonial occupation of Somalia, the famous Canadian author, Margaret Laurence, then a young woman living in the north with her English husband in the 1950s, noticed the stoic nature of Somali women when it came to showing emotions in public. In her memoir, New Wind in a Dry Land: An Account of a Sojourn among the Nomads of Somaliland (1964), Laurence chronicled an absorbing account of Somali nomads fleeing from drought. Among them was a woman who had lost several children due to famine, but she was neither crying nor wailing for her loss. When asked why she appeared stone-faced, exhibiting no emotions, she said it was because God, who had given her the children, had taken them away. Abdullahi M. Adan “Cawsey” is a young, perceptive Somali graduate student studying mental health at the University of Toronto. He has made an interesting observation on social media about the difference between Somalis’ traditional approach to the public expression of emotion in contrast to, for example, the Arab approach, which has no taboos with regard to the expression of emotions such as crying in public. “When a terrorist bombing strikes,” Cawsey said, “unlike others, Somalis are never seen crying and wailing.” He added that when a Somali cries, which is rare, it is usually for something that happened in the past. In a way, even the expression of emotion by Somalis might not be linked to their present suffering of pain or stress. Perhaps, Somalis have a surplus of internalized emotions. I guess the social media phenomenon is slowly transforming some aspects of Somali culture, such as the public display of emotions. It is the youth who are more likely to transform the way public expression of emotions is displayed. After all, emotional expression is another form of communication—whether it is joy, anger, stress, or helplessness. Repressed emotions must be released and negative emotions transformed into positive emotions. Otherwise, don’t cry for Somalia.